At Solar Safe Pool Covers we believe that every pool that has an exposure to little children should have at least one barrier of protection and multiple barriers are preferred. 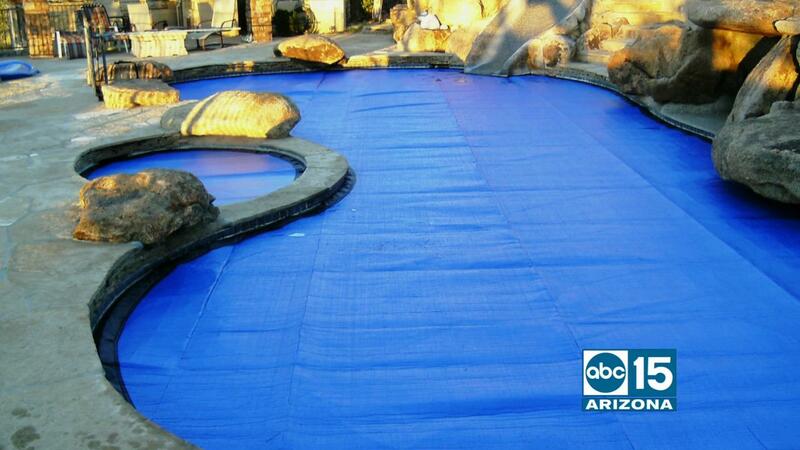 Our pool covers meet the national American Standard Testing and Measures ( ASTM) standard F 1346-91. This standard for pool covers requires that the cover supports at least 485 pounds (two adults and one child) to safely walk on the cover in case a child may accidentally get on the cover. As you can tell by the pictures on our website, we greatly exceed that weight limit. Our special brass anchors allow for complete comfort in knowing that if attached properly the pool cover will not allow a child to have access to pool water.